UPDATE ON SEPTEMBER 29, 2018: REGISTRATION IS CLOSED ONLINE. YOU CAN STILL COME TO THE CLASS ON OCTOBER 13, 2018 AND SIGN UP RIGHT THERE, BUT PLEASE REMEMBER THAT YOU HAVE TO BRING A CHECK TO PROFESSIONAL PHOTOGRAPHERS OF AMERICA ($120). Super①Day classes run for two weeks, once in the Spring and once in the Fall. They allow PPA members and non-members alike to hone their skills and to better the photography industry. PPA (Professional Photographers of America) the world's largest nonprofit photography association organized for professional photographers, by professional photographers, with more than 30,000 members...present in more than 50 countries! I am happy to be PPA approved. 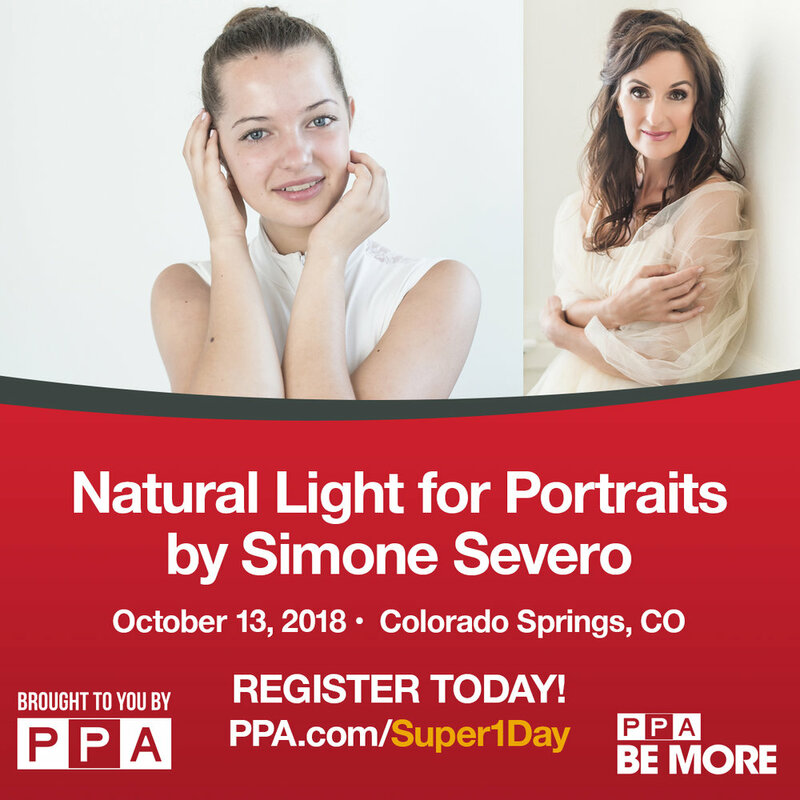 Natural Light for Portraits, on October 13, 2018, from 9:00 am to 5:00 pm, an all day program with a model. The workshop will be held in Colorado Springs, Colorado, on October 13, 2018, in the studio downtown.